Alice Howland is proud of the life she worked so hard to build. At 50 years old, she's a cognitive psychology professor at Harvard and a world-renowned expert in linguistics with a successful husband and three grown children. When she begins to grow disoriented and forgetful, a tragic diagnosis changes her life - and her relationship with her family and the world - forever. Melanie is a very special girl. Dr. Caldwell calls her "our little genius". Every morning, Melanie waits in her cell to be collected for class. When they come for her, Sergeant keeps his gun pointing at her while two of his people strap her into the wheelchair. She thinks they don't like her. She jokes that she won't bite, but they don't laugh. The soundtrack made me feel the book more. When the Taliban took control of the Swat Valley in Pakistan, one girl spoke out. Malala Yousafzai refused to be silenced and fought for her right to an education. On Tuesday, October 9, 2012, when she was fifteen, she almost paid the ultimate price. She was shot in the head at point-blank range while riding the bus home from school, and few expected her to survive. Instead, Malala's miraculous recovery has taken her on an extraordinary journey from a remote valley in northern Pakistan to the halls of the United Nations in New York. Clare and Henry have known each other since Clare was six and Henry was 36. They were married when Clare was 23 and Henry was 31. Impossible but true, because Henry is one of the first people diagnosed with Chrono-Displacement Disorder: periodically his genetic clock resets and he finds himself misplaced in time, pulled to moments of emotional gravity from his life, past and future. His disappearances are spontaneous, his experiences unpredictable, alternately harrowing and amusing. At the age of 22, Jennifer Worth left her comfortable home to move into a convent and become a midwife in postwar London’s East End slums. The colorful characters she met while delivering babies all over London - from the plucky, warm-hearted nuns with whom she lived to the woman with 24 children who couldn't speak English to the prostitutes and dockers of the city’s seedier side - illuminate a fascinating time in history. Would you listen to Room again? Why? 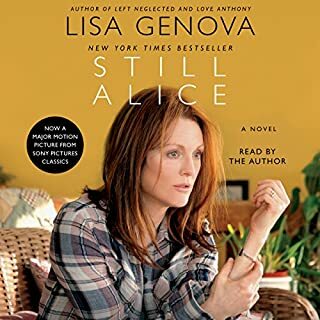 I have listened to it twice - first when it came out, then again when i purchased it on Audible. the voice of jack is very childlike, which has aggravated many reviewers, but also honestly adds to its realism. 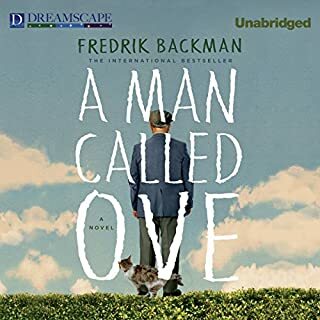 You can feel his mother and grandmother's frustrations with him... but as an audiobook, it works as a multi-voiced performance. The little things that Jack and his Ma had to do to survive in Room. the realism of how small a world Jack grew up in, and his ever-expanding knowledge of the outside world around him. In some ways, it reflects every child's excitement and frustration and growing up; in others, it's entirely unique. the only narrator I am familiar with is Suzanne Toren, but I plan on checking out Ellen Archer - although I will probably always think of her as Jack's Ma. if you can manage the child's voice of Michal Friedman as Jack - which gets to be a bit much in large doses - this book is a good book. Emma Donnaghue did a great job of reflecting the complex yet simple life that Jack and his mother led. Jack is incredibly mature in some ways and incredibly naive and immature in others by necessity. She could have made Room a horrible place, with graphic depictions of Jack envisioning his mother's abuse by his captor, but chose to allow his mother to be a protective mother bear, who would not allow her child to see what she lived through. Many topics were handled with sensitivity, yet with the brutal honesty of a child. Well done! The little kid voice is excruitiating to listen to for hours on end. The book is very good, very worth reading but I would definitely buy it in print. It's tortuous to listen to the exaggerated baby voice of the 5-year-old. I bought it because it was one of the best rated books on Audible. Unfortunately, the other reviewers seem to be assessing just the book and not the narration. I tried, but I couldn't like this book. Might have been better to read it. Relentlessly precocious childlike voices annoy me. It's an unusual story, hence two credits, but I was so aware of the adult logic and sophistication behind the cuteness of Jacks narration, that it felt hopelessly mawkish to me. 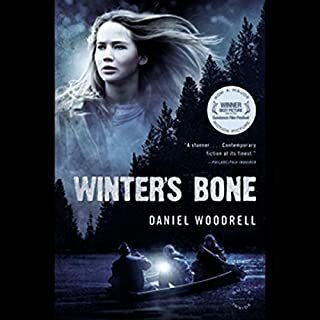 Normally I wouldn't comment if I didn't like the book, but reviews often drive my selection, and if you don't like movies with wise little kids speaking quasi-adult dialog,give it a pass. I loved this book, and listened to it a second time with my mother. It is a book that wants to be shared. My memories of my early years with her were evoked by this book. The narrators, especially "Jack", were fantastic. Initially it appears to be primarily a story about a child--who adapts and flourishes in a truly horrible situation, and then adjusts to an entirely new experience. It makes believable, in a very personal way, children's ability to tolerate and grow as long as they are loved, no matter what the impoverished circumstances they are born to. However, the more profound story is that of Jack's mother, whose adaptation to abuse, deprivation, and loneliness was much more difficult because she was an adult when it began, and became a mother soon thereafter. The gift of her commitment to her child's safe and happy life, under terrible circumstances, is remarkable. The book deserves the accolades it has received, and the narration here is a worthy presentation of it. Worst performance I ever listened to. I would not recommend listening to it (reasons explained below). I would recommend reading it. It is a fascinating, horrifying tale. I liked that the story was told primarily from the child's perspective. The performers voices, tone, and intensity were inappropriate in nearly all cases. As much as I liked that the story was primarily from the his perspective, Jack could have made his observations without the cloying sense of wonderment at all things. Ma sounded too old for 26 years. Grandma sounded 90 instead of 59. Old Nick had too "normal" a voice. He should have sounded more sinister. I was anxious to finish the book to be done with those voices. 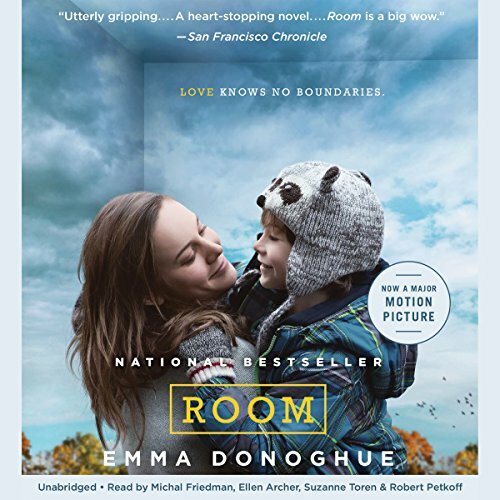 Do you think Room needs a follow-up book? Why or why not? 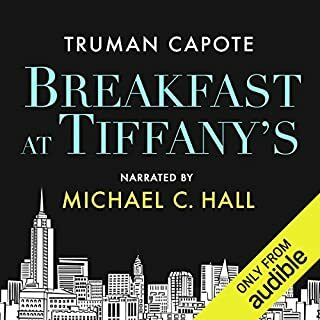 This seems like a creative story idea, which I am sure will likely make a fantastic movie...but this audiobook presentation is unlistenable. I barely got an hour or two into this and had to give up, as most of it is narrated in a little kid's voice as events are described with the thought and speech patterns of a young child (sometimes, very unconvincingly)...after a short while it began to grate on my nerves to such a degree I don't think I will ever revisit this. It is like being stuck in the car with someone else's chatty 5 year old...who you begin to realize is describing some horrific abuse. I can't imagine how they chose this presentation...who could possibly listen to this for hours and hours?!?! This story had so much potential, but had so many flaws. The narration during first quarter of the book was like listening to a 3 year old with bad grammar for hours. The only reason that I continued the book is because I was held hostage on an airplane and was able to fast-forward. Jack was able to go from reading at an adult level to talking like a 2 year old. The controversy over breast feeding was also handled very poorly by the author. It seemed like she just wanted you to react to the comments. 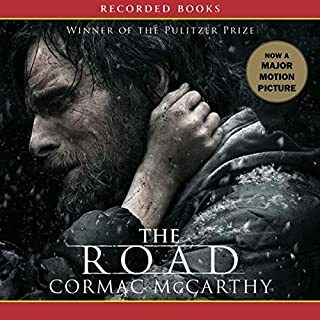 I have listened to over 100 audiobooks and this one is at the bottom. In Plato's Allegory of the Cave, he says that if we were all prisoners chained in a cave, we would think shadows cast in the cave by the surface world were reality, and that if we were let out of the cave to see the surface world we wouldn't believe it. I wonder if Emma Donoghue decided to retell the allegory from the point of view of a five year old. I confess that at first I didn't care for the 5 year old's narrator, but I let that go because the story is so well written. It does not for a second insult the intelligence. Imagine a book written from a science fiction perspective about what life is like on our planet. And the person telling you is five. And he has passing knowledge of the world but only through what is shown on television. This is that book. Like The Help, this book uses several narrators which was a great choice. I am only at the halfway mark, but unless the end is horribly disappointing, I am halfway to one of the best books I've downloaded this year. Would you try another book from Emma Donoghue and/or the narrators? Of course I would try another book from either. I wouldn't change anyone, it was just the story that I did not care for. What character would you cut from Room? I really wanted to like this story, I just could not get into it. 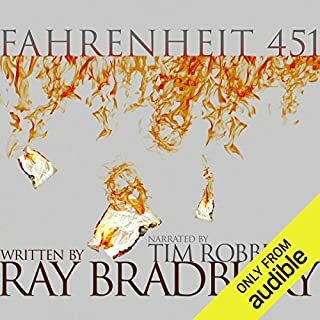 I purchased this audiobook for a long road trip. I think it's the first time I ever hated to reach my destination. I actually sat in the parking lot for 10 minutes to get to the end of the chapter. This book has it all - originality, suspense, great characterization, and excellent narration. I was pulled into this story right from the beginning, and it held me until the end. There definitely are sections that are more intense than others, but the story moves very well overall. (I don't want be more specific because it might create spoilers.) It will definitely spur some good discussions, so either listen with someone else, or recommend it to a friend. You will want to talk about it long after the book is over. I can't say enough about the narration. Each character is presented so well and is so believable, that you find yourself wondering how they accomplished that.